As I may have mentioned once or thirty times I am usually an all or nothing type of girl with most things in my life, I'm either in it to win it or it's dead to me. I often start things all gung-ho, full of hope and excitement and fully determined to see them through to the end. Of course, anywhere from 1/4 to 1/2 way through I'm all like ,"SQUIRREL! ", and move onto something else dropping whatever project I was in the midst of like a hot potato. And then guilt sets in. Followed by more avoidance and neglect. Cue more guilt. And so on. 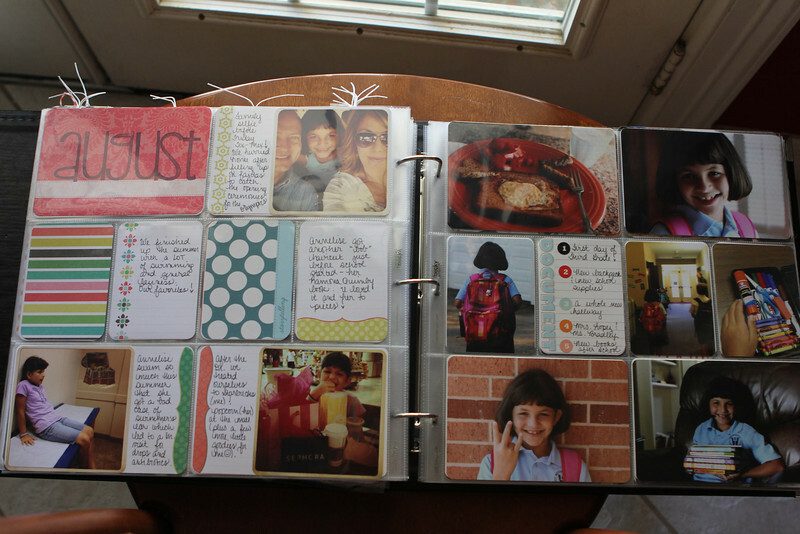 I started Project Life in early 2012 with bright and shiny eyes and was pretty faithful to my weekly documenting for, ...oh...a while, maybe two or three months. I even posted somewhat regular updates. Then I fell behind and tried to catch up. 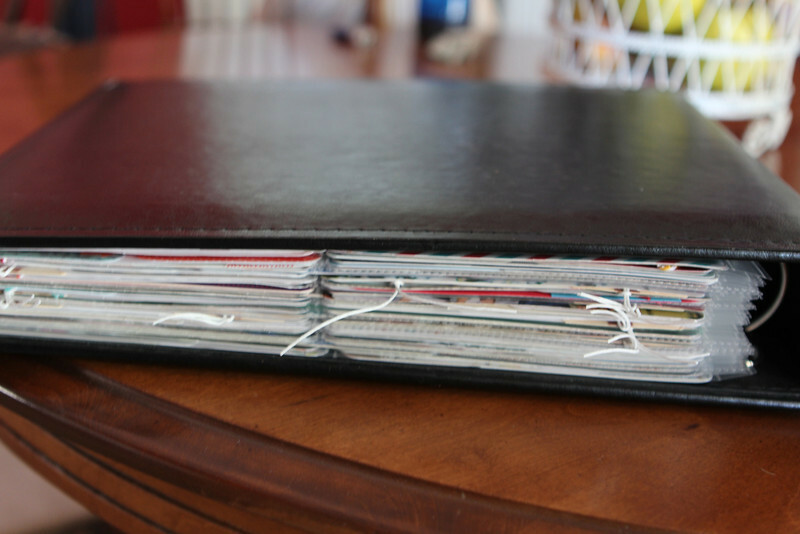 And then Project Life died a slow painful death upstairs on my craft table for the remainder of 2012 and all of 2013. Until I recently resuscitated it. That, my friends, is my finished album. I know! I can't believe me either, but it's true. 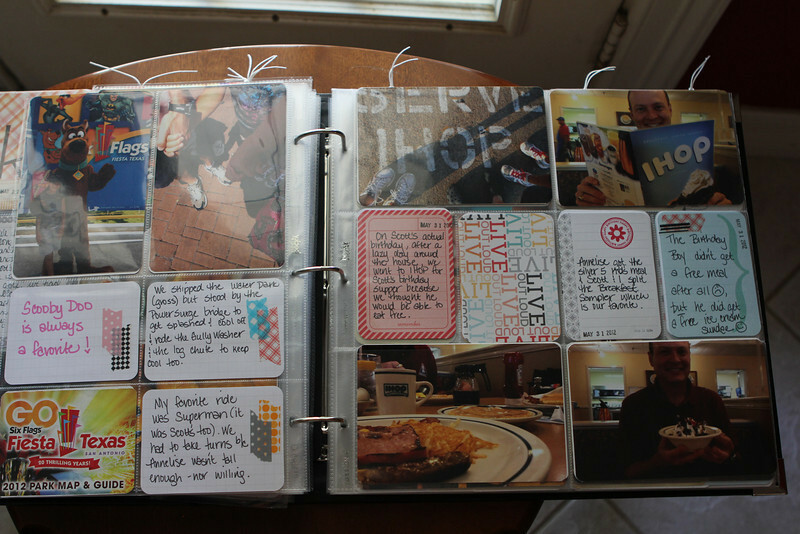 I had originally started 2012 with a goal of documenting each week with a layout and smugly ending the year with 52 completed layouts in my album. The good news is I made it to Week 22 with this approach before the wheels came totally off, which was almost halfway, so, yay. 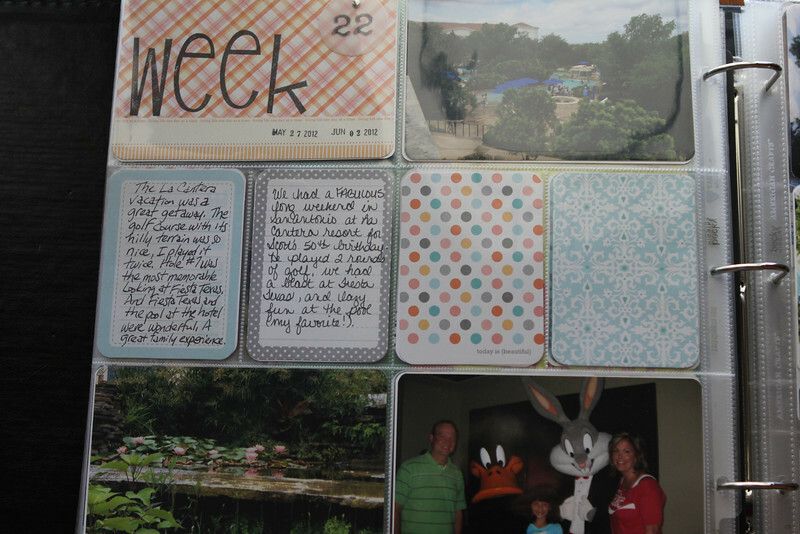 This layout covers our trip to San Antonio for Scott's 50th birthday. 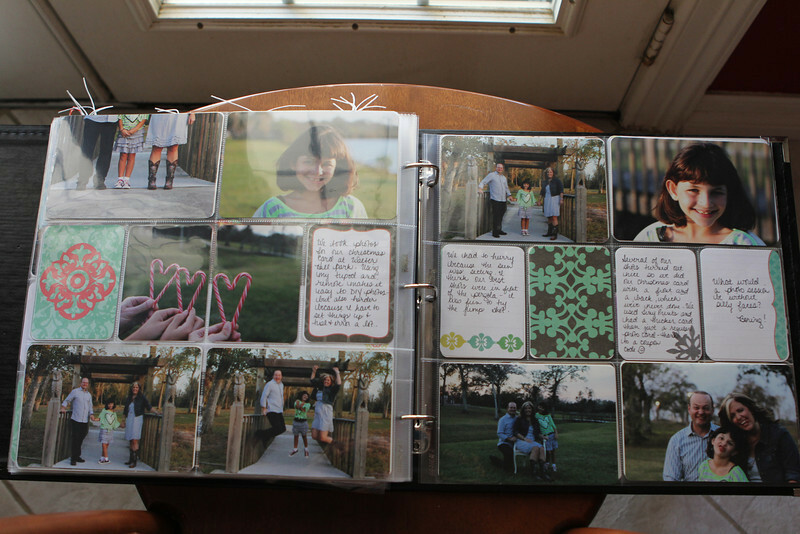 I used a 6x12 insert for extra photos along with a trimmed Design B page for more vertical photos (sometimes I just slip them in sideways because I'm lazy like that). And that marked the end of my weekly approach to Project Life. In order to move forward I had to give myself permission to let go of my original plan/perfection (you wouldn't think this was such a big deal, but then you'd be wrong) and embrace more of a general overview/monthly/seasonal hybrid approach in order to finish. I finished up the album with a few Christmas themed layouts, like this one of us taking photos for our Christmas card, which is always an adventure. 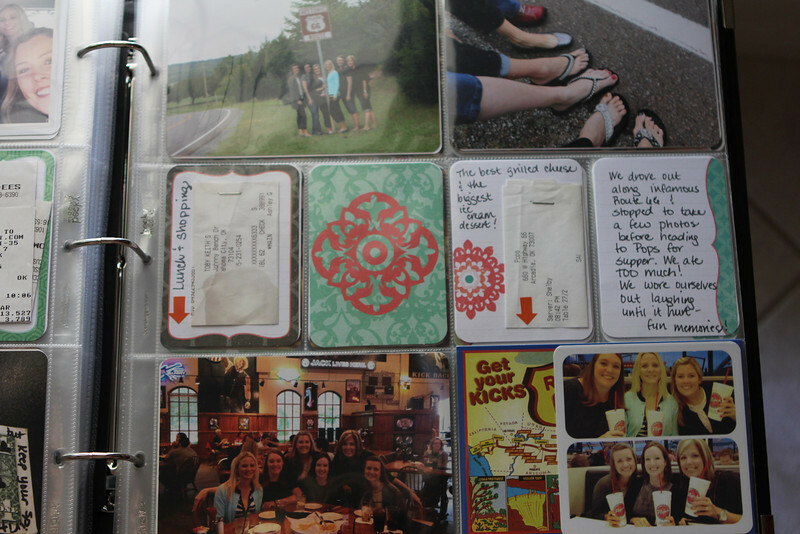 Other than the Disney trip journaling, my 2012 Project Life album is finally DONE. Just two years after the fact. Even though my approach changed and I took an embarrassingly long hiatus I am highly pleased with myself for finishing. The first half of the album is definitely more detailed and the rest of it is well,...not. But that's okay. Being done is better than being perfect. 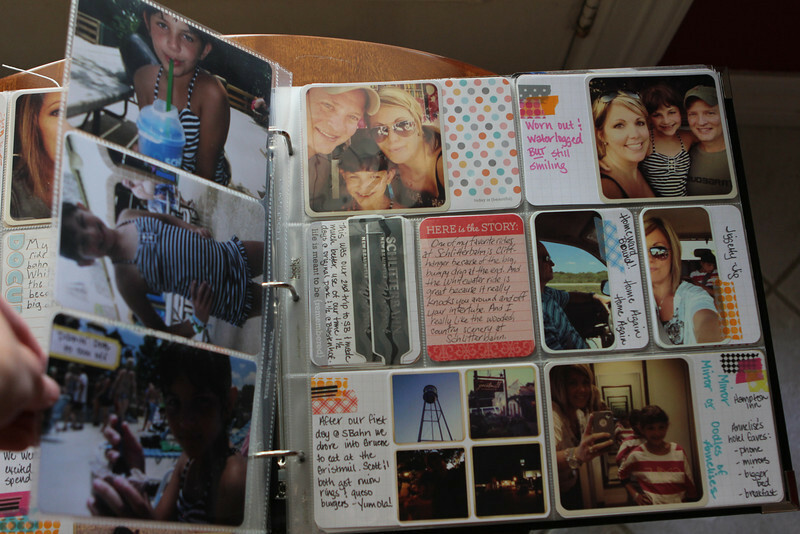 As for supplies, my album is a plain black 12x12 by We R Memory Keepers. 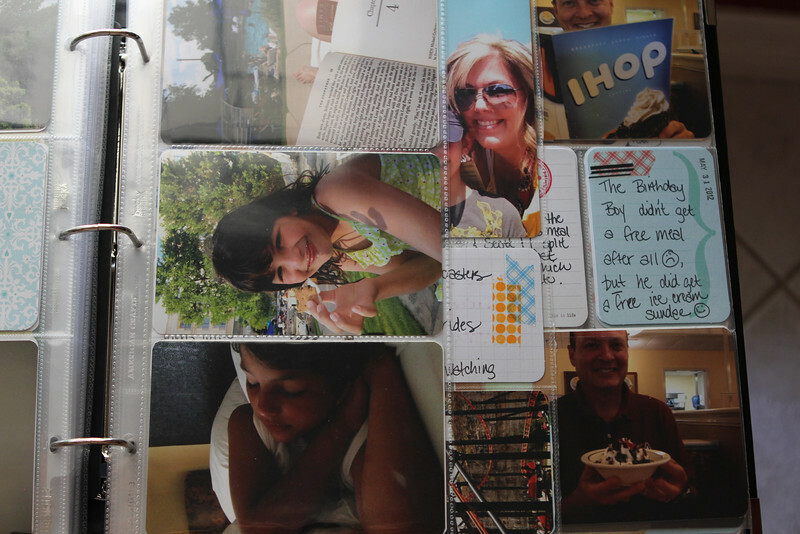 I used Design A page protectors the most, with an occasional insert of 6x12 for extra 4x6 photos or Design B for vertical. I started out using the Clementine core kit but near the end I mixed in cards from the Amber core kit as well, they all complement each other and work well together, I think. I used plain shipping tags, stamps, washi tape and bakers twine for simple accents. 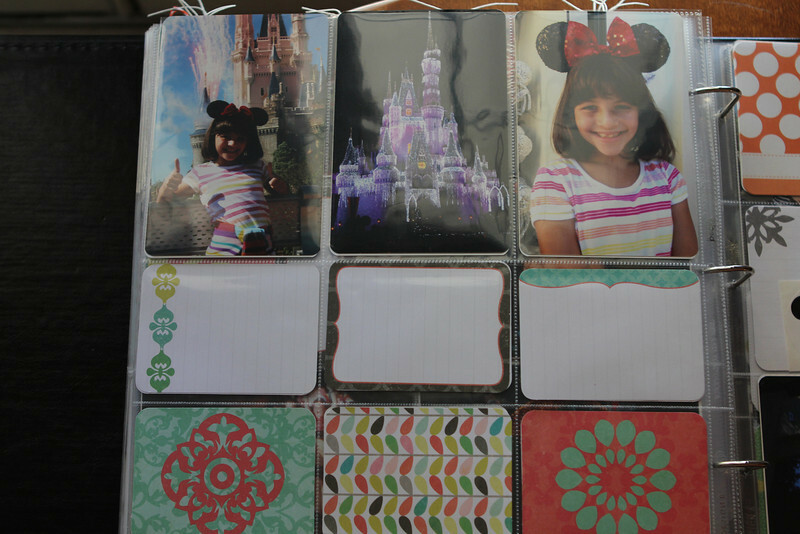 My other must have supplies are Sharpie pens and the Crop-A-Dile corner rounder (not necessary, but I love the look of rounded corners). 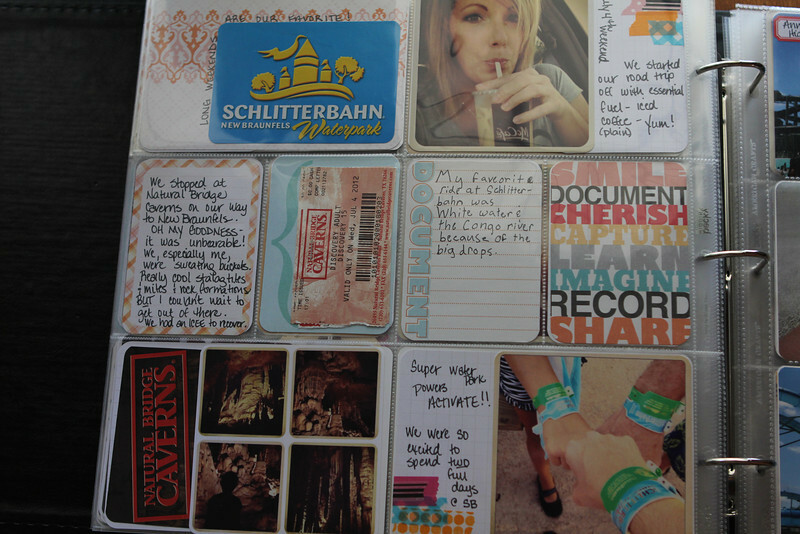 And because I am just this side of crazy I'm going to make an album for 2013 using my general life/vacation/hybrid backtracking approach. I've already printed most of my photos and have my other supplies so I'm ready to dive in ASAP. Good for you! I thought I was reading about myself in the first paragraph. Holy cow. 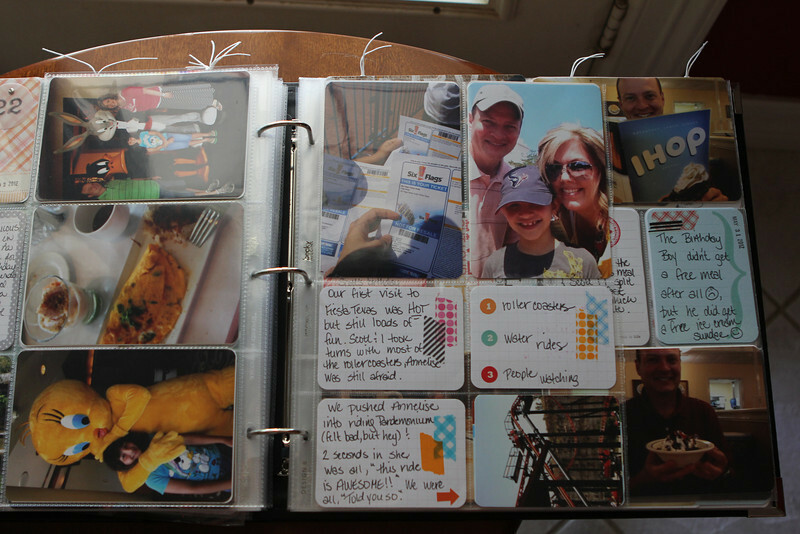 I just STARTED Project Life in 2014 but have several many years of traditional scrapbooking to catch up. You've given me inspiration. Thanks. I totally feel ya on this. 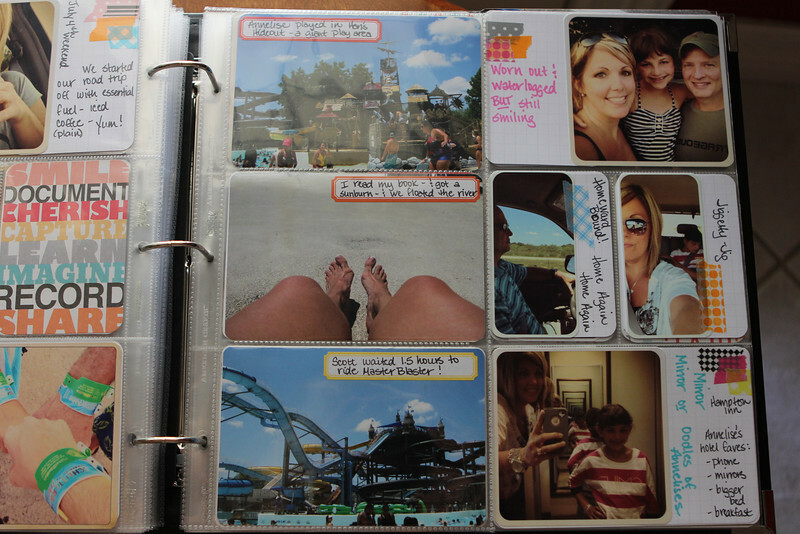 I am so, so, so far behind in scrapbooking in general. I to started Project Life and then life got in the way and I have not completed it either. I hope to get inspired and finish up. I have my bag of goodies I continue to collect to add to my book in hopes that one day I will get it all together. Great job on the catching up though! Yay you! Thank you Aranne! I'm trying not to let guilt keep me from making progress--even slow progress--and that's hard! You will make progress too!! 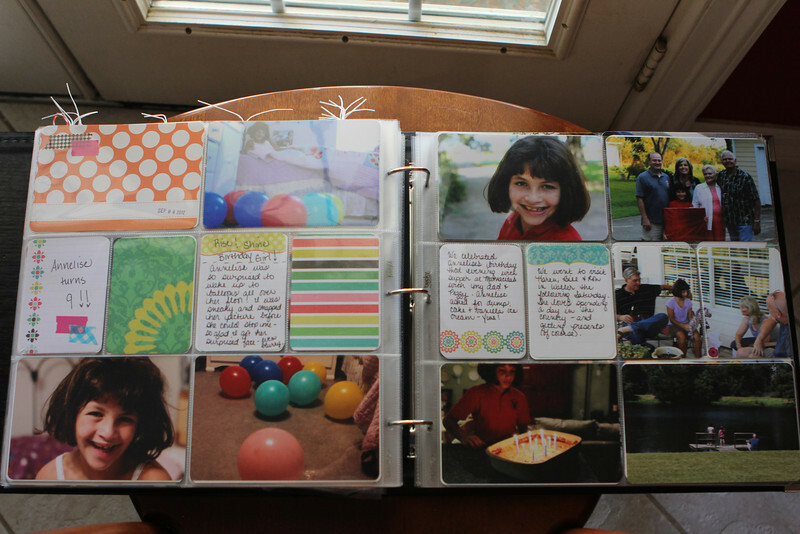 I do like how Project Life keeps things fairly simple yet still always looks together no matter what level of *stuff* you use. 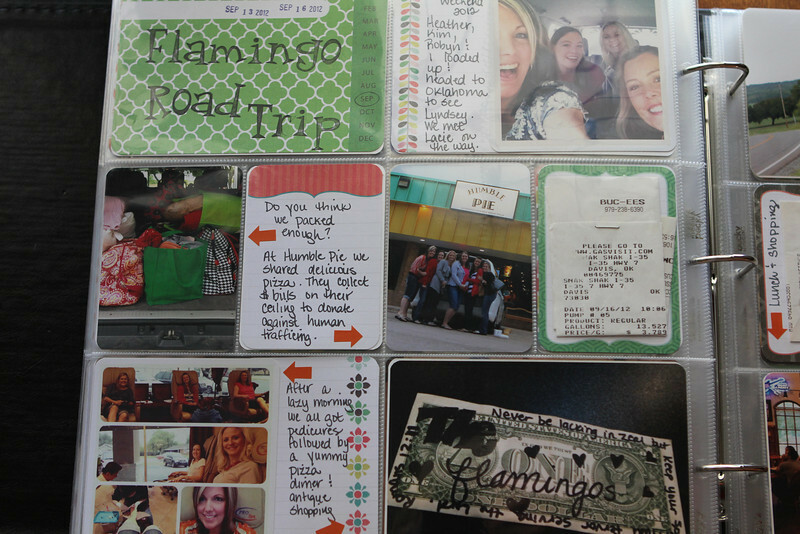 question..... the pockets that have multiple photos is that a grid printed like that or are they printed individually and you just glued them down on a PL card? 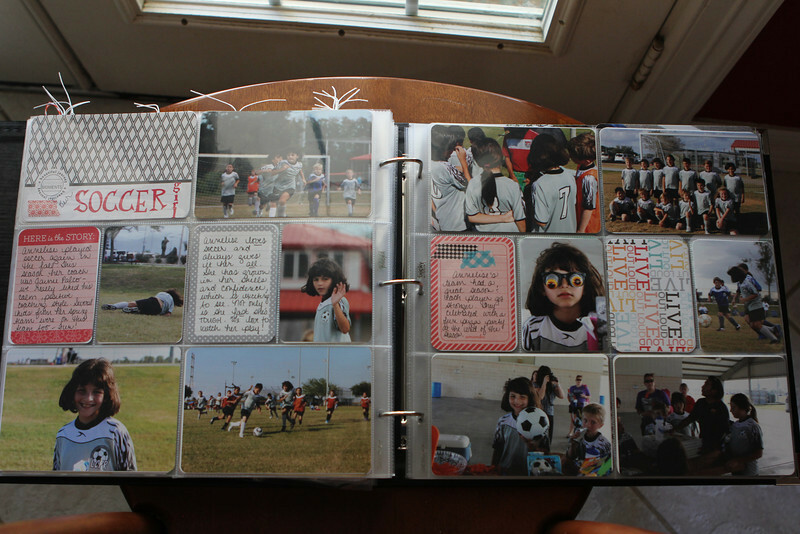 It looks so good how you do your pages!! Thank you Andrea! 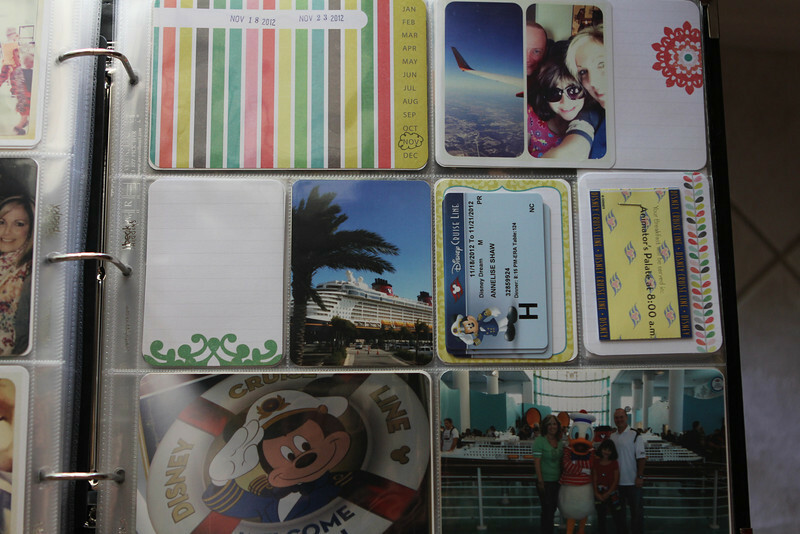 If I remember correctly, I think I made collages with the PicFrame app on my iPhone then printed them out as Instagram sized photos (4x4) with Postal Pics, then attached them to either a Project Life 3x4 card or a shipping tag. 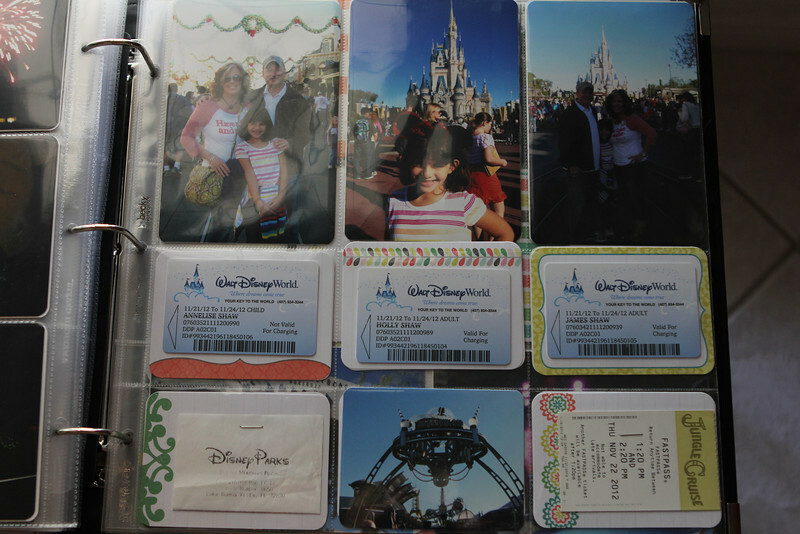 I have also printed out 2x2 sized photos to attach to the PL cards sometimes.